The water crisis in Flint, Michigan, might feel like forever ago for some. “Isn’t that over?” folks have asked me. The short answer: no. The fear of lead contamination is still palpable in the predominantly black city and, according to a new motion filed in court Wednesday, fixing the problem isn’t going as smoothly as it should be. The city has been busy chipping away at its pipe infrastructure, replacing pipes for more than 6,000 homes since a lawsuit forced the city and state to start dealing on a larger scale with the health crisis that resulted from widespread lead contamination. The state still recommends everyone in Flint use a water filter, though, which brings us to the problem at hand. The city and state tell residents to use a filter immediately after this pipe replacement process because lead levels can spike from anything left over from old system. But they allegedly haven’t been verifying that residents actually have these filters installed. And they’re supposed to, as part of a settlement agreement Michigan and Flint have with local advocacy groups. 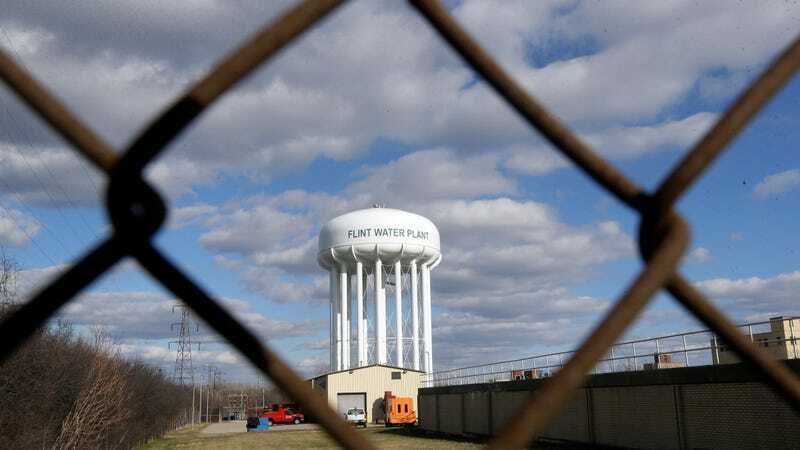 Now, those groups—Concerned Pastors for Social Action, the Natural Resources Defense Council, and the American Civil Liberties Union of Michigan—are taking the issue to the U.S. District Court for Michigan’s Eastern District in order to force Flint to get with the program, according to Michigan Radio. Flint and environmental advocates reached an agreement to replace water lines for at least 18,000 homes within three years back in March, after groups sued the city and state in January 2016. The settlement included the state allocating the city nearly $100 million for the effort. It also included some important provisions to ensure this transition wouldn’t hurt residents’ health—like verifying filter installation, giving status reports, and keeping track of homes that rejected pipe replacement. That’s where the concern lies. “If the City cannot collect critical, easily identifiable data and provide it within the agreed-upon timeframes, how can Plaintiffs trust that the City is competent to execute the much larger and urgent task of service line replacement in Flint?” the suit states. It goes on to allege that “all of the City’s status reports have been late, incomplete, inaccurate, or a combination thereof.” Groups also allege that the city hasn’t provided any proof that it’s kept track of what homes refused pipe replacement. They need this information in order to do proper outreach work in the community and convince residents of why this replacement is necessary (because it’ll help prevent lead-contaminated water in the future). Flint Mayor Karen Weaver responded to these allegations in a statement where she reiterated her commitment to the city. “No one wants to get the lead out of Flint more than me,” she went on, highlighting the number of pipes the city’s replaced already. She did not, however, address whether the city has failed to meet its other requirements from the settlement. The situation in Flint is delicate. Residents don’t trust the city or the state. This suit could very well reinforce the distrust the mayor has been working so diligently to end.